Music artists and producers often fall into two categories: those that seek the limelight, only to fade out with musical trends, and those with true talent that can stand the test of time. The latter can be said about multi-platinum producer and remixer Vincent di Pasquale. 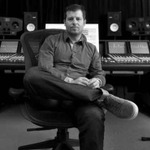 Over the past several years, Vincent has quietly garnered attention as a producer, remixer, and a sought-after studio engineer for many of today's most celebrated artists including Madonna, Nelly Furtado, Mariah Carey, Justin Timberlake, Timbaland, Erick Morillo, Lee Cabrera, Nadia Ali and many more. He has released projects on labels such as Atlantic Records, Geffen, Island Def-Jam, Sony Music, Toolroom, Subliminal Records, Nervous, Strictly Rhythm and Pacha Recordings. It all started back in 2002 when a chance meeting led to Vincent engineering Lee Cabrera's "Shake It" record which went on to gain Pete Tong's "Essential Selection" honors and earned a Top-10 UK National Pop Chart position with "Shake It" (Move a Little Closer). Vincent's top-notch productions then caught the eye of one of the world's most iconic female artists of all time—Madonna and has since completed official remixes for her last two albums; Hard Candy (2008) and MDNA (2012). Under the name ReBirth, Vincent's remixes were featured on her hit single "Girl Gone Wild," alongside Aviccii and Dada Life, as well as official remix packages for her hit singles "Miles Away" and "4 Minutes" (feat. Justin Timberlake) which reached #1 on Billboard's Hot Dance/Club Play chart. The single also went on to earn double-platinum status, almost unheard of in today's digital world. Vincent has also produced and remixed tracks for many other topping hits from artists including Timbaland, Nelly Furtado, Mariah Carey, Erick Morillo and one of electronic music's most iconic vocalists—Nadia Ali. As and artist, Vincent is a multi-instrumentalist and has been DJing and performing since the late 90's. Now, after years of hard work honing his skills in the studio, he is busy working on new original productions and collaborations. His productions deftly walk the line between underground and commercial retaining the best parts of both will appeal to fans of both underground electronic dance music and other more mainstream sounds, which have been made popular EDM explosion over the past few years. Vincent has been the recipient of multiple accolades from within the music industry, including being honored as "Favorite Dance Mix Innovator" by the American Society of Young Musicians in 2010. He also serves as on the Board of Governors for the GRAMMYS® and sits on the Producer's and Engineers Wing of the Recording Academy. In addition to his hectic studio schedule, Vincent is also passionate about sharing his knowledge and experience with aspiring producers and musicians. As one of the FaderPro founders, Vincent is dedicated to offering aspiring young producers the ability to virtually sit in this studio while they watch and learn how music is really made. "Over the years, I've been fortunate enough to learn by working with some of the most successful producers on the planet," explains Vincent. "And people are constantly asking me if they can just "sit in" the studio and watch. That is the concept with FaderPro and now, the answer can finally be 'yes!" Vincent truly is at the forefront of modern music production.